I am always in awe of Beth and her way with words, and here she does it again. Her words are ones that I always appreciate when they pop up on my blog reader, or finally find their way into my hands when I have a moment to look back at my TBR shelf and notice that her books are still sitting there, waiting for me. This is a great feature! Thanks for sharing Beth's post with us, Keertana! I've never read anything by Beth but I want to! I haven't read anything of the books she recommended either but they sound LOVELY. I haven't heard of this book Keertana! FAIL. I love books that simply refuse to be moved from their spot in my heart and mind no matter how many other books I try to cram in there. They're all "You love me and I'm not letting you forget it" and I'm all "I know". I think I need to give this one a try for sure! I haven't read this book yet but I have read You Are My Only and I loved the author's language in that book! I remember that several of you bloggers that I really enjoy have REALLY LOVED this one, so I NEED TO GET TO READING IT ASAP. I honestly have no excuse! I've never heard of those books either, so they seem to be new to most of us. It's always nice to listen to something new. I loved the post though and that certainly shows some dedication to a book. 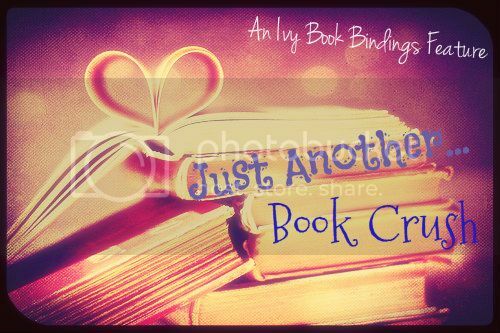 Beth writes so wonderfully in this guest post and I regret having had Small Damages on my to-read list for so long and not having got a copy and read it yet - will make it a priority this year! I always feel AWFUL when someone recommends novels I've never even heard of! Not read, okay, but not even heard of! And it's kind of my area of expertise, you know?! Lol. I'll live, don't worry. I actually got a copy of Small Damages the second I finished reading your review, I just haven't had time to actually read it yet. I'm drowning in arcs again, but not for long. :) It sounds exactly like something I'd enjoy very much. I can't wait. I'm so privileged to be here, Ivy. Your blog is beautiful, and your followers are very kind. Thank you. I really loved Small Damages! it was one of my favorites from the recent reads and I look forward to all her books. This right here is precisely why I LOVE this feature so much, Keertana! I love getting suggestions for books that would otherwise never hit my radar, especially when they're spoken of so beautifully (I'm interested in the first one in particular). 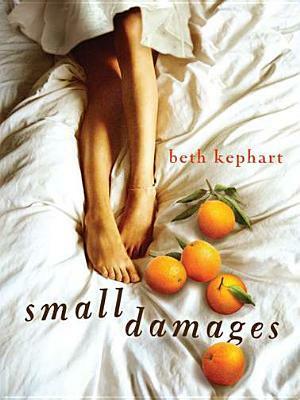 I haven't read Small Damages yet, but I'm convinced I ought to given your (and everyone else's) reaction.